Donated by: Leon Martin, Victoria. The Model 360 was the first 300 Series machine to use the Motorola 68030 processor. 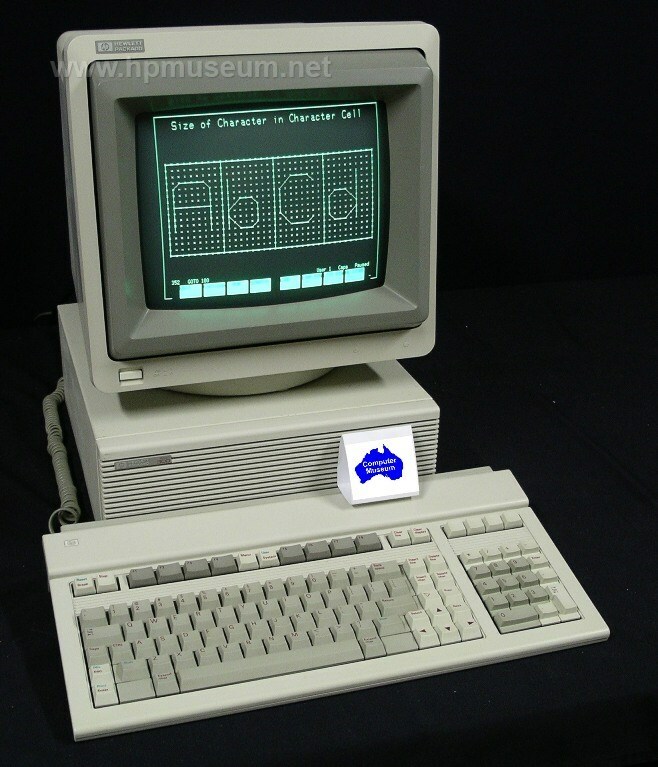 The Model 360 contained both the 68030 CPU and 68882 floating point coprocessor running at 25 MHz. The Model 360 had a performance of 5 MIPS. The Model 370 (P/N 98579B) featured a 33 MHz processor with performance of 7 MIPS. Bundled versions of the Model 360 include: Model 360 TurboSRX (98587T, $35,995), Model 360SRX (98587W, $34,965), Model 360CH (98588W, $19,510), Model 360CHX (98588W opt 556, $19,510), Model 360C+ (98588W, $16,500) and Model 360MH (98589W, $16,010). Bundled versions of the Model 370 include: Model 370CH (98588G, $31,900), Model 370SRX (98587G, $50,250), Model 370 TurboSRX (98587H, $44,250), Model 370C+ (98583G, $28,000), and Model 370MH (98589G, 24,500). As of 2014, the three 9000/360s we have at the museum are all fully operational.